Bon Vivant New York is a unique cake café specializing in luxury petits fours and cakes inspired by the tradition of old world European confections. Our cake collection includes a select assortment of flavors made of the finest ingredients, and each delicately handcrafted for an elegantly delicious treat. We invite you to experience this delightful indulgence. Come in and enjoy a variety of delicious petit cakes, along with a coffee or tea pairing from the renowned Viennese Julius Meinl specialty coffees and teas, or create your own customized box of petit cakes with your favorite flavors. Additional pastries and other hot and cold beverages are also available. Visit online shop to view information on Bon Vivant Floral Collection themes. 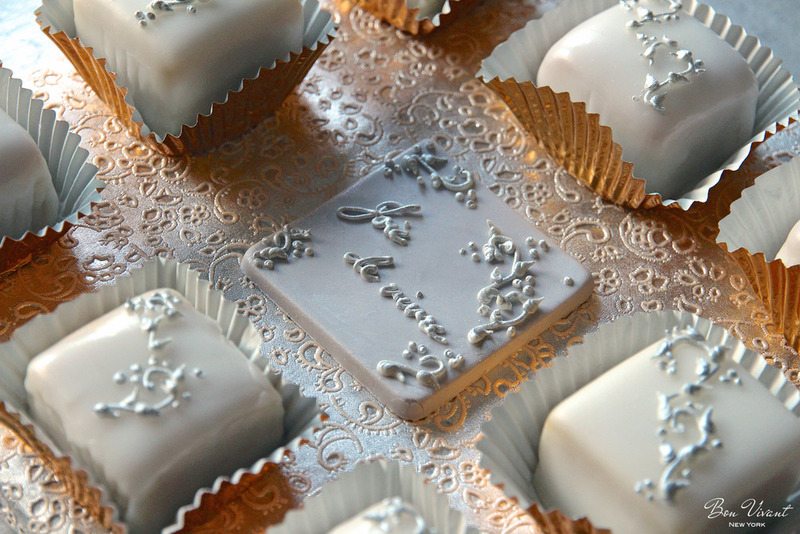 Visit online shop to personalize your own Box of 9 or 16 Petit Cakes. 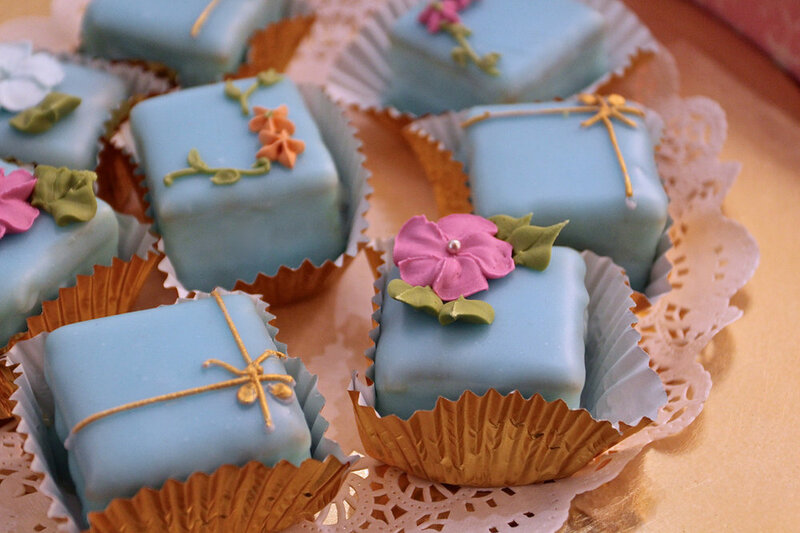 "Petits fours make a comeback at the Bon Vivant New York Cake Café on the Upper East Side." "Sample la dolce vita with a recipe straight from Bulgari's latest high jewelry collection of more than 100 one-of-a-kind pieces inspired by traditional Italian celebrations: Melt a generous amount of pink gold, stir in emeralds, rubies, and sapphires, and sprinkle with diamonds. Slip on your fingers and enjoy." One of the nicest things you can do for a hostess is take some of the work off her plate. 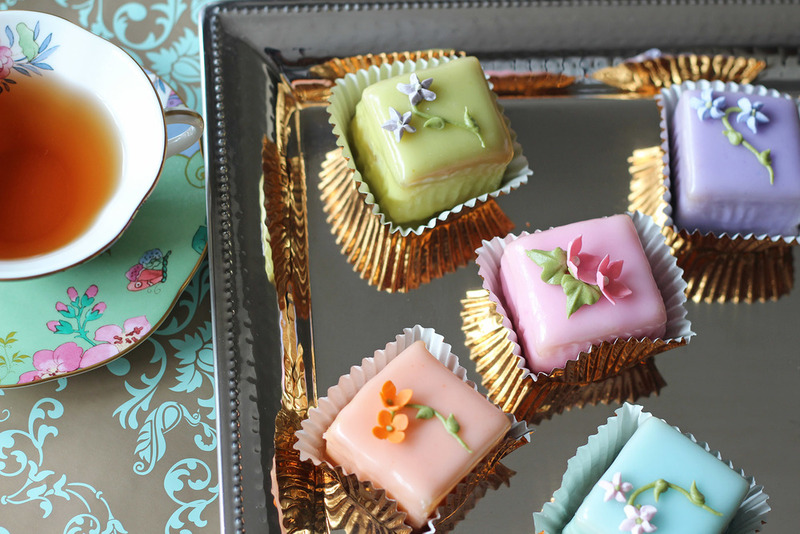 Arrive with these beautiful petit fours and we're certain you'll be in her good graces. "The sweet treat raises awareness for breast cancer by donating 10 percent of the proceeds to the Susan G. Komen Foundation. Satisfying anyone’s sweet tooth, the dessert is a liqueur-laced vanilla caked layered with sweet rose flavored buttercream. 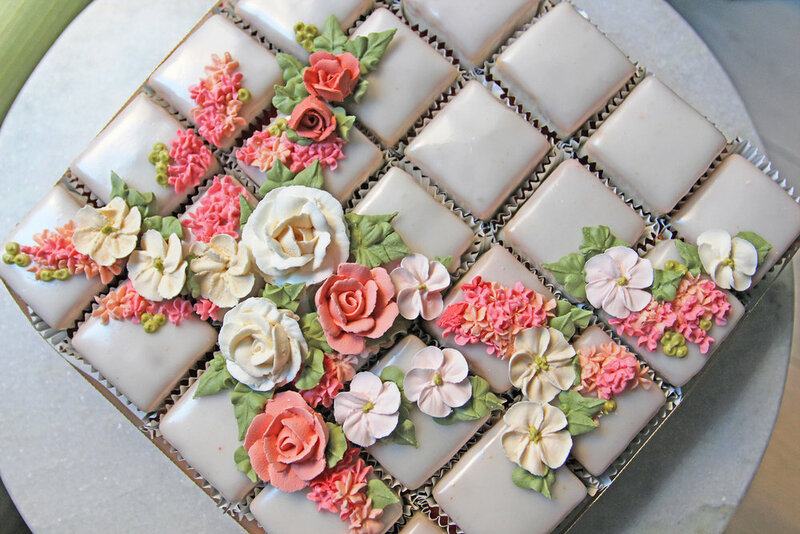 Topped with a German almond marzipan, the cake is dipped in a rose glaze and adorned with an edible gold leaf and sugar rose bud." The Loews Regency New York Hotel brings us the best of NYC’s local food and beverage! 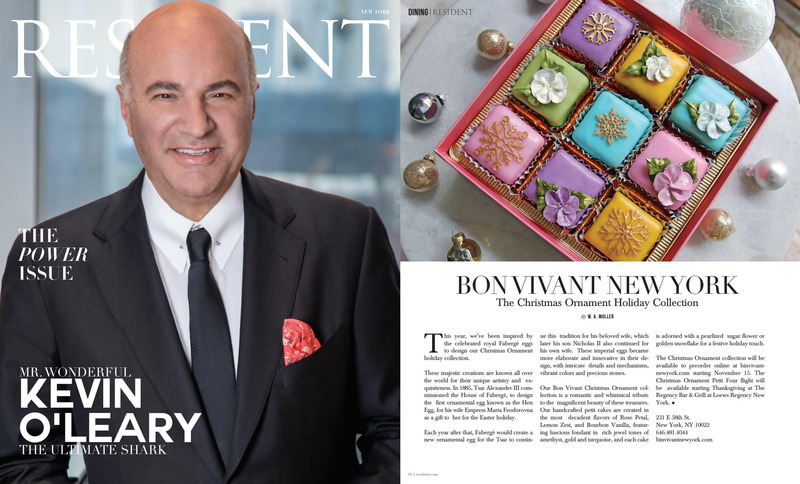 This year, Bon Vivant New York has been inspired by the celebrated royal Fabergé eggs to design their Christmas Ornament holiday collection. 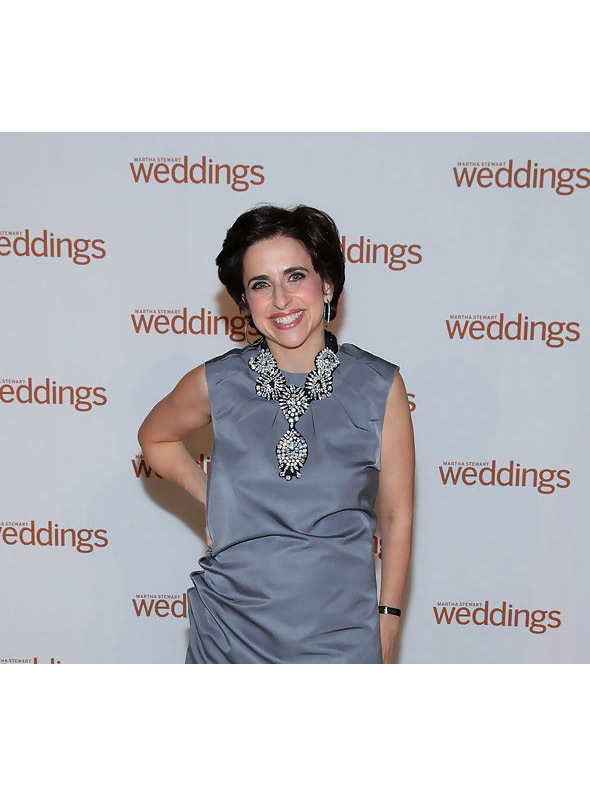 Margaret Zakarian, shares Geoffrey Zakarian piping flowers at the annual City Harvest BID event. Iris Mittenaere, Miss Universe / Miss France 2016, recently visited the Bon Vivant Cake Café. 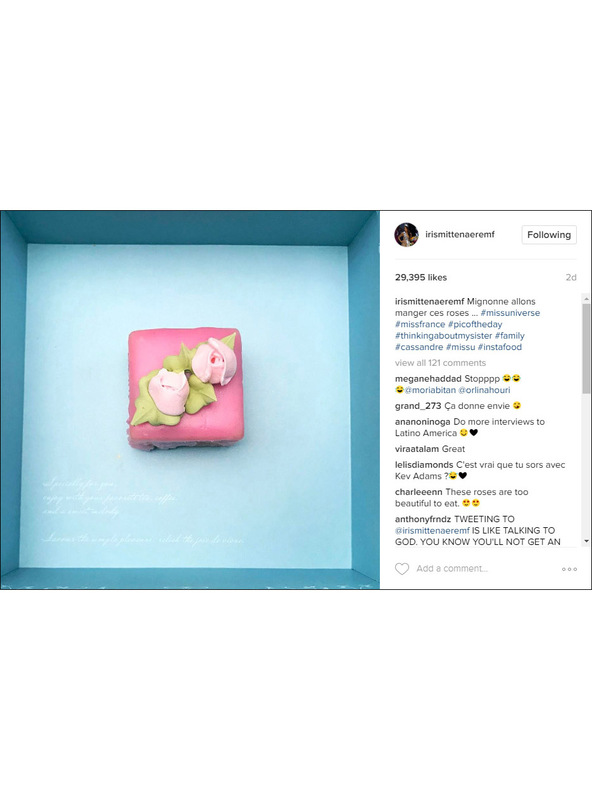 Here she shares a picture of the Rose Petal Cake. 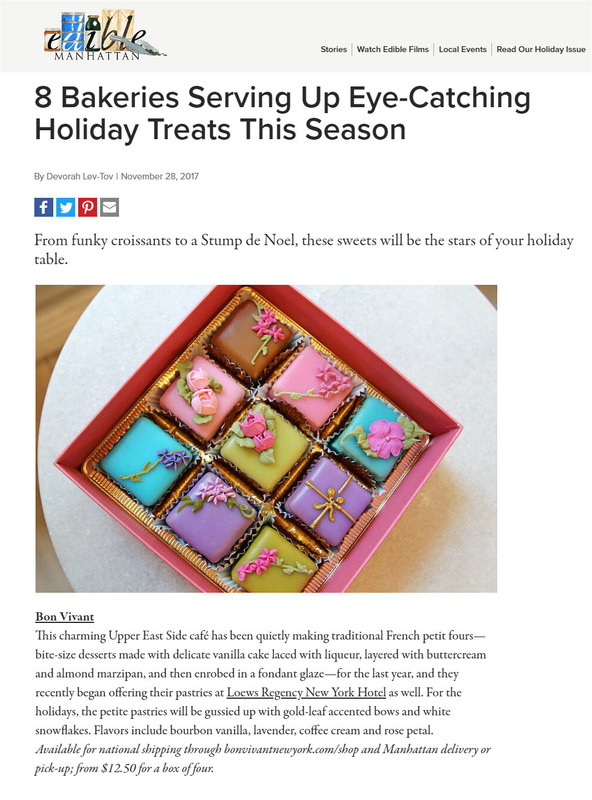 Darcy Miller, Editorial Director of Martha Stewart Weddings, noted Author, Illustrator and Celebrations Expert shares an image of Bon Vivant Cakes. Madina Papadopoulos is a freelance writer based out of NYC and New Orleans, covering a range of topics from TV, film, food, drink, restaurants... basically anything fun. Visit our blog, the Reading Room, where we share tips, recipes or interesting excerpts to inspire a sweet life. In one of the final and most endearing scenes, Howie is in the library with Lindsay, sharing a box of the treats that he had previously imagined the mystery woman to enjoy - Petits Fours! This year, we’ve been inspired by the celebrated royal Fabergé eggs to design our Christmas Ornament holiday collection. These majestic creations are known all over the world for their unique artistry and exquisiteness. In 1885, Tsar Alexander III commissioned the House of Fabergé, to design the first ornamental egg known as the Hen Egg, for his wife Empress Maria Feodorovna as a gift to her for the Easter holiday. Each year after that, Fabergé would create a new ornamental egg for the Tsar to continue this tradition for his beloved wife, which later his son Nicholas II also continued for his own wife. These imperial eggs became more elaborate and innovative in their design, with intricate details and mechanisms, vibrant colors and precious stones. Our Bon Vivant Christmas Ornament collection is a romantic and whimsical tribute to the magnificent beauty of these treasures. Our handcrafted petit cakes are created in the most decadent flavors of Rose Petal, Lemon Zest, and Bourbon Vanilla, featuring luscious fondant in rich jewel tones of amethyst, gold and turquoise, and each cake is adorned with a pearlized sugar flower or golden snowflake for a festive holiday touch. The Christmas Ornament collection will be available to preorder online at bonvivantnewyork.com. The Christmas Ornament Petit Four flight will be available starting Thanksgiving at The Regency Bar & Grill at Loews Regency New York. Published in Resident Magazine in DINING section, December 2018 issue and Luxury Travel Magazine. It was a special evening of fun, feast and fundraising! Bon Vivant was thrilled to participate in this year’s City Harvest’s BID Fundraising event. Guests were immersed in a lively Havana Nights theme as they bid on once-in-a-lifetime experiences. There was live entertainment to be enjoyed, delicious small plates and cocktails to be enjoyed from over 50 of New York City’s best chefs, restaurants, and mixologists, including Eric Ripert of Le Bernardin, Francois Payard, Per Se, The Lambs Club, Ron Ben Israel, Gramercy Tavern, Kerry Heffernan of Grand Banks, Gabriel Kreuther, Marcus Glocker of Batard, 21 Club, Asiate at Mandarin Oriental, Emma Bengtsson of Aquavit, Angie Mar of the Beatrice Inn, Angie Rito of Don Angie, and Seki Shi of Sushi Seki. 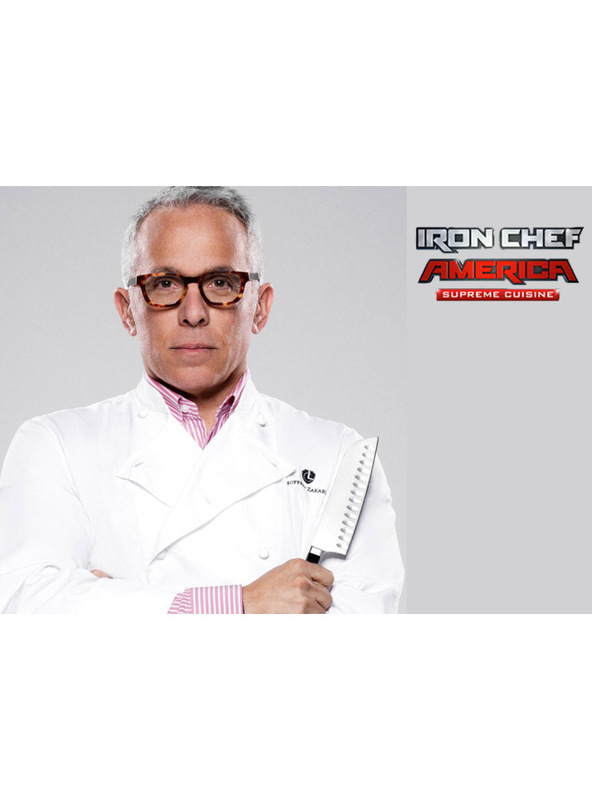 Chef Geoffrey Zakarian hosted VIPs in GZ’s Social Club, featuring interactive gourmet tastings, luxury purveyors, specialty cocktails, superior reserve wines, a special gift, and unique entertainment. Bon Vivant New York presented Havana themed petits fours for participants to enjoy. As a a fun interactive element, guests were invited to pipe Havana themed flowers over the BID logo template. The final decorated piece left as a sweet reminder of the great evening and as a small token of thanks to the excellent work of the organizers and volunteers. The icing on the cake - the evening raised a record $1.6 million, enough to help feed over 18,000 New Yorkers in need for a year. We’re excited to support City Harvest at their signature Fall event BID on October 4th. This year’s high-energy Havana Nights theme will feature an incredible tasting experience with gourmet food and specialty drink samples from more than 50 of NYC’s best chefs, restaurants and mixologists, plus live entertainment, and live and silent auctions. Bon Vivant will provide an assortment of Havana Nights themed petits fours for attendees to enjoy. We’re so pleased to participate in such a worthwhile cause, which helps to feed millions of New Yorkers in need across the 5 boroughs. Tickets are still available, so come join us in the fun and help support a great cause! To help kick off the US Open Tennis Championships this month, Bon Vivant will team up with Loews Regency Hotel as its Flavor Partner, by providing custom designed “tennis ball themed” petits fours to be featured at an exclusive event celebrating fitness, food and fashion. The event is hosted by WTA ranked players Victoria Azarenka and Amanda Anisimova, and takes place Wednesday, August 22, 5-7:30 PM in the Great Lawn space of the hotel, at 540 Park Avenue. 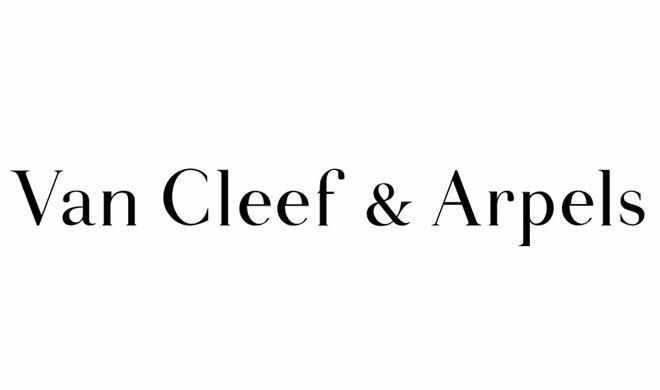 Other participants include Julien Farel Spa and Lululemon. We’re excited to share our custom cake collection and cheer on the players – we think it’s a perfect match! Bon Vivant Reading Room is a virtual lounge to share beautiful ideas, stimulating quotes, delicious recipes or other useful bits of information to inspire a sumptuous life.